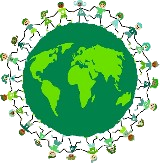 Can you personally make a difference simply by switching to eco friendly light bulbs? All of us, including myself, "light-up" throughout the day...and we're not talking about cigarettes here! Every one of us uses electric lights for various purposes, like reading a favorite book, working at a desk, cooking in the kitchen, protecting the exterior of our homes, and so on. 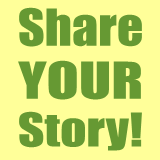 Lighting has become so commonplace that we hardly even notice that we're using it every day. But lighting, especially with century old incandescent bulb technology, has a BIG impact on the planet and we probably should not ignore this. During my research, I found that, according to the United States Department of Energy (DOE), the lighting used both for residential and business purposes accounts for 22 percent of the total electricity drawn from the grid every year. I didn't think it was that much! It is actually enough energy to keep about 100 large coal power plants humming every year, just for lighting! And, as those power plants burn their fuel, they spew enormous quantities of carbon dioxide and other air pollutants into the air. Clearly this is an area that has a massive impact on our society and our planet, yet it is one of the easiest areas to address. Simple things like swapping inefficient incandescent bulbs for more efficient options, that cost little and save so much, can collectively make a real difference in our world. If you haven't heard it already, here it is: compact fluorescent light bulbs (CFLs) are much more energy efficient than the old-style incandescent light bulbs you're used to. Made by sealing a small amount of mercury in the glass tube, CFL's are perfectly safe to use in the home and provide a real money-saving alternative. CFLs use 65 to 80 percent less energy than incandescents and they last at least 10 times as long, which means fewer bulb changes for you. And because they don't generate heat like regular bulbs, they could also help to lower your air conditioning bills. New CFL bulbs cost between $1 and $12 US these days, which is more than your average incandescent light bulb. However, replacing a 75-watt incandescent bulb with a CFL will save you close to $50 over the lifetime of the bulb, meaning it will more than pay for itself. And you can then rest knowing that you're doing something good for the planet, too. Most lighting manufacturers now carry a line of CFL bulbs, most of which can be found in your local hardware, home improvement, department, or even grocery store. And, just in case you're worried, CFLs now come in a variety of "colors" offering the same light quality as regular bulbs. They also come in a wide range of shapes and sizes, so that you can get efficient bulbs for any light fixture you may have: flicker flame tip CFLs, 3-way CFLs, dimmable CFL's, decor CFL's, globe CFL's, flood light CFL's, anti-bug CFL's, outdoor post CFL's, and spiral CFL's. If you want to ensure you're getting the most efficient lighting around, look for the ENERGY STAR symbol on your light bulbs. These use up to 75 percent less energy than other bulbs and keep shining for longer than the average illuminator. It's true that CFLs do contain small portions of mercury which isn't a substance you want to come in contact with in large quantities or on a regular basis. However, as we mentioned, CFLs are perfectly safe for you to use in your home. The amount of mercury in a CFL bulb is so small that it will not harm you or your family. In fact, the quantity of mercury in most bulbs is 60-200 times smaller than what is in a common dental filling and five times less than what's in a watch battery. So, as you can see, you come into contact with products containing mercury all of the time that present a potentially much greater risk for mercury exposure. You can find out more about the dangers of mercury exposure through the Sierra Club. What is more troubling is that coal power plants spew mercury into the air every day, creating the single largest source of mercury emissions in our country. The National Electrical Manufacturers Association has lots of information on mercury in CFLs here: Environmentally Consious Design. More reason to switch to eco friendly light bulbs to reduce the amount of power we need to generate in the first place. Package all of the debris into a bag and seal. Using a damp cloth or paper towel, wipe up the area. Ventilate the room with an open window. If, however, you use a CFL light bulb to capacity, you should handle it differently than if you burnt out a regular bulb. Once CFLs are completely spent, you should absolutely recycle them so that the mercury doesn't end up in the environment. Today, there are many programs for recycling CFL bulbs. Search Earth911.com to find local CFL recycling programs in your community. Take your burnt-out CFLs to IKEA, Home Depot, or Wal-Mart, as all of these stores that have CFL bulb recycling programs. These companies and organizations know how to properly recycle these bulbs so that the materials are reused and kept out of the environment. 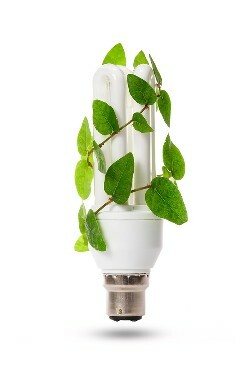 Eco friendly light bulbs come even more efficient than CFLs today. The light-emitting diode (LED) bulb is the newest lighting technology on the market, making it the most efficient eco friendly light bulb around. 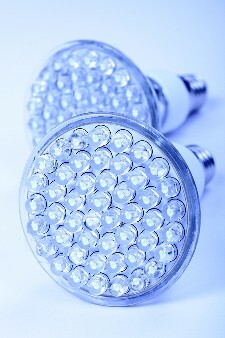 LED's are even more efficient than CFL's, using a fraction of the energy of even the most efficient of these eco bulbs. Plus, they contain no mercury, so there's no risk of mercury contamination. They also last a whole lot longer than other bulb choices. Yep, they shine about 10 times longer than CFLs and 100 times longer than incandescent bulbs. Additionally, they are “solid state” bulbs, which means they have no loose parts and are therefore nearly indestructible. This means you can drop them, squeeze them, and otherwise abuse them and they'll just keep on shining. So, they're great eco friendly light bulbs for high-traffic areas. LED lighting is very popular for outdoor applications. They can be used to line driveways, for holiday lighting decorations, in solar-powered garden and pond lighting, and more. They can also be employed indoors for under-cabinet lighting, task lighting, and flashlights. We've now reviewed the main types of eco friendly light bulbs and eco lighting ideas that are available for both homes and businesses. You can also do your part with other simple acts, like remembering to turn the lights off when you leave a room! To make this easier on yourself, try installing light timers, motion sensors, heat sensors, and other automation devices that will control your lighting for you. That way, if you do forget to turn out the lights, they'll stop using energy when you're no longer around. Choosing more energy efficient lighting can really reduce your monthly electricity bills, cut our dependence on dirty energies like coal-fired power plants, and help to reduce the greenhouse gas emissions being sent into the atmosphere. Together, through little acts like upgrading our lighting, we can make a significant difference for our planet while also helping ourselves. Take the next step toward an eco living lifestyle and grab some eco friendly light bulbs to begin making the switch today!